Elections in the West Balkans are never easy. Federica Mogherini might consider intervening now on the side of the pro-European forces in Kosovo, writes Denis MacShane. 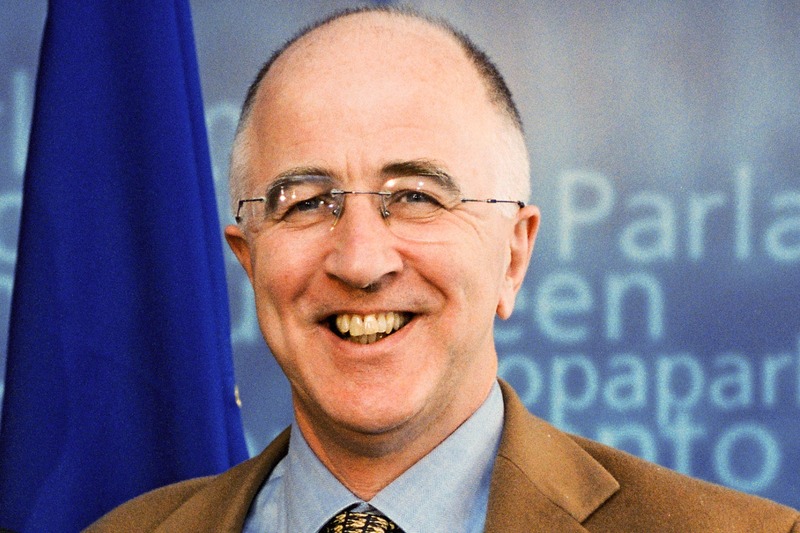 Denis MacShane was the UK Minister for the Balkans 2001-2005 and author of Why Kosovo Matters (2009). He travels to and writes on the Balkan region. There have been endless rows in Macedonia ever since the Social Democratic party, in alliance with politicians representing 25% of Macedonia’s population who are Albanian, won a majority vote but the sitting government refused to relinquish office. In Montenegro there is still no clarity on the attempt to assassinate the president, organised by Serb operatives with clear links to Russia. In Albania, the opposition Democratic party said it would simply boycott the elections due to be held this Sunday (18 June) which have now been delayed. And now the elections in Kosovo have produced a result that shows the spectre of ultra-nationalism and populist rejection of Europe (and compromise politics) is not the exclusive property of Donald Trump and Europe’s nationalist-populist ideologues. 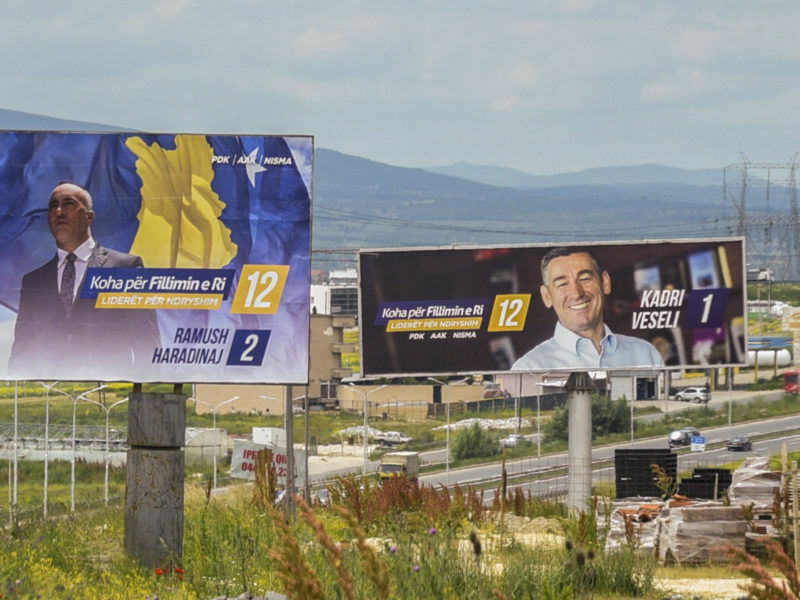 A coalition led by the ruling centre-right Democratic Party of Kosovo (PDK) came first in Kosovo’s snap parliamentary election yesterday (11 June), but it will have to find a coalition partner to form a stable government, results based on a partial vote count showed. 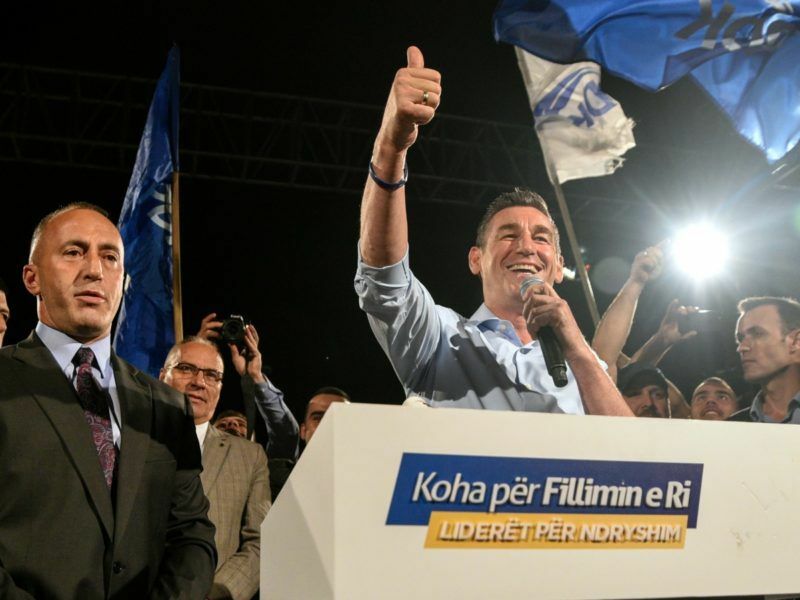 The existing government, in place since 2014, has done everything the EU has asked of it but one of the two coalition parties, the Democratic League of Kosovo (LDK), has been booted out of office. The LDK was founded by the father figure of Kosovan independence, Ibrahim Rugova, though it was overtaken by the more militant PDK, as Rugova’s pacificism failed to get any concessions from the Milosevic regime in Belgrade. On Sunday (11 June) the LDK scored a few votes less than Vetëvendosje, a nationalist populist movement which refuses all contact, let alone compromise, with Serbia. Vetëvendosje (Independence) voted down EU proposals backed by the PDK-LDK coalition to recognise the uninhabited mountain border with Montenegro. As a result of the failure of the LDK prime minister and the Kosovan president and PDK leader, Hashim Thaci, to get a majority in the Kosovan parliament to support the EU policy, the elections on Sunday had to take place. Vetëvendosje is led by a fluent journalist who was an important figure in the short war of independence 1998-1999 which ended with the NATO intervention, as nearly a million Kosovans fled their homes rather than risk the fate of those at Srebrenica at the hands of Serb militias and warlords. Belgrade politicians still insist Kosovo is a breakaway region of Serbia, and have been strongly backed by Russia in a campaign now nearly two-decades old to destabilise the broad EU-US policy of allowing Kosovo recognition as a small Western Balkans nation like the others that emerged in the 1990s after the collapse of Yugoslavia. Kosovo was once a middle-order problem for the US State Department, UK Foreign Office, the Quai d’Orsay and Germany’s Auswärtiges Amt. But the leaders who emerged from the fighting in the 1990s stamped hard on violence and even sent one of their commanders, Ramush Haradinaj, a party leader and prime minister, to the Hague Tribunal on War Crimes in 2005. The case against him collapsed and he is now a possible prime minister again. 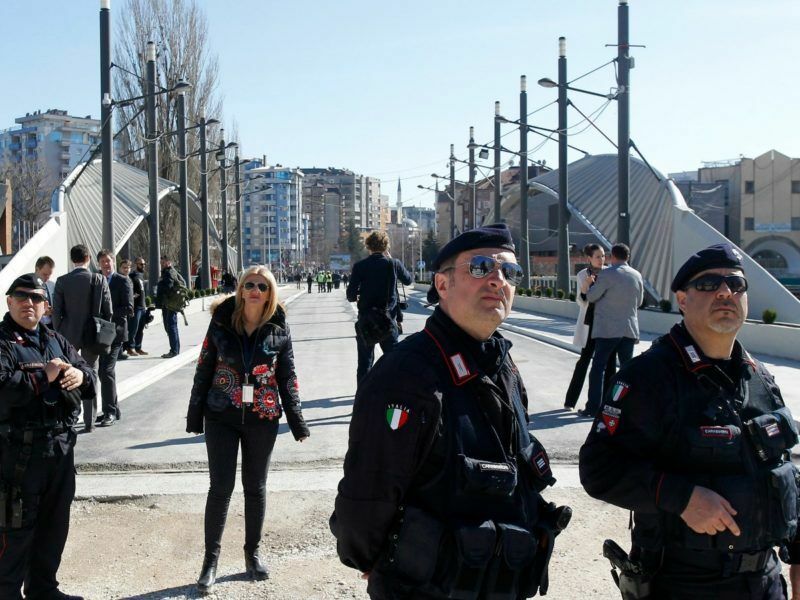 As Kosovo normalised itself and the threat of violence faded the big foreign ministers lost interest and handed the Kosovo dossier over the European External Action Service in Brussels. But the EEAS – despite hosting contact meetings between Belgrade and Kosovo leaders – had no strategic vision. The rise of populist Kosovan nationalism with its sectarian rejection of any talks with the Serbs has been helped by a failure of EU foreign policy. The EU has awarded visa-free travel to Ukraine despite Ukraine having by common agreement the most corrupt government in Europe, an open war with Russian proxies in its east and part of its territory annexed by the Kremlin. Georgia also has Russian soldiers squatting in Russian-occupied regions of Abkhazia and Ossetia. Yet Georgians have been given the privilege of visa-free travel by the EU as have all other Western Balkan states save Kosovo. As a result, the nationalist populist Vetëvendosje activists can proclaim that the policy of maxing up cooperation with Brussels and the West which has been a constant in the politics of Hashim Thachi and other PDK or LDK leaders has brought no rewards for the people of Kosovo. Serbia’s Aleksandar Vučić, who was sworn in as the country’s president yesterday (31 May), wants to open a debate over the future of Kosovo, the breakaway province whose independence Belgrade has refused to recognise. Like Nigel Farage or Marine Le Pen proclaiming that all would be well if the EU was shunned, frontiers closed, and a strident assertion of national identity was adopted, the Vetëvendosje language has found an echo as the EU has not had a coherent strategy for Kosovo. In particular, the current Kosovan political leadership cannot point to any gains for individual Kosovars as a result of resting loyal and obedient to EU wishes. It will take a further two weeks for all the election results to be ratified and some time before a final government coalition can be formed around Thaci’s PDK party and other allies which have a narrow working majority – rather like Theresa May’s government in London. Vetëvendosje got 26% of the vote – double its score in 2014 elections. Vetëvendosje organises street camps and lets off stink and smoke bombs in parliament to disrupt normal legislation. It not only rejects dialogue with Serbia but has also opposed agreement with Montenegro. But with Kosovans getting nothing out of their leaders’ fealty to the EU, Vetëvendosje like other nationalist identity populist movements in Europe has found an echo. The EU foreign policy supremo, Fredrica Mogherini, might consider intervening now on the side of pro-European forces in Kosovo by announcing that Kosovan citizens will have the same travel rights as Ukranians and other West Balkan citizens and take the wind out of the nationalist sails before it is too late. Vetevendosje is a social democratic party that is against corruption and nepotism that EU furthered in Kosovo with their support of political leaders that captured the state. Vetevendosje is also pro-EU and wants to integrate Kosovo in the European Union, so there is no reason to compare it to Farage and Pen. A very misleading article filled with factual inaccuracies. Unfortunately, the author of this article has a very limited grasp of what he is talking about. Albin Kurti and Vetevendosje are not “anti-Europe”, in fact Kurti has met with officials in Brussels on numerous occasions and is well thought of in these circles. Vetevendosje refuses to behave like “Serbia’s dog” (pardon for the expression) – bowing to Serbia’s demands and doing tricks in order to advance towards European integration. Surely this is something to be commended considering the Serbian government’s horrific treatment of all citizens in Kosovo for decades. Kurti is by no means a brilliant politician and Vetevendosje needs to take brave steps to build policy’s and rhetoric that are forward-looking rather than forged on worn out narratives of grievance, however, Kurti and Vetevendosje are by far the most progressive choice in Kosovo. They are not “ultra nationalist” – their nationalism is a harmless reflection of what happens when you brutally repress an entire ethnic group for decades – it is an expression of who people feel they are in Kosovo at this time. Also, Kurti isn’t a journalist.